Kellen is a firm believer that adopting healthy habits can change your life. 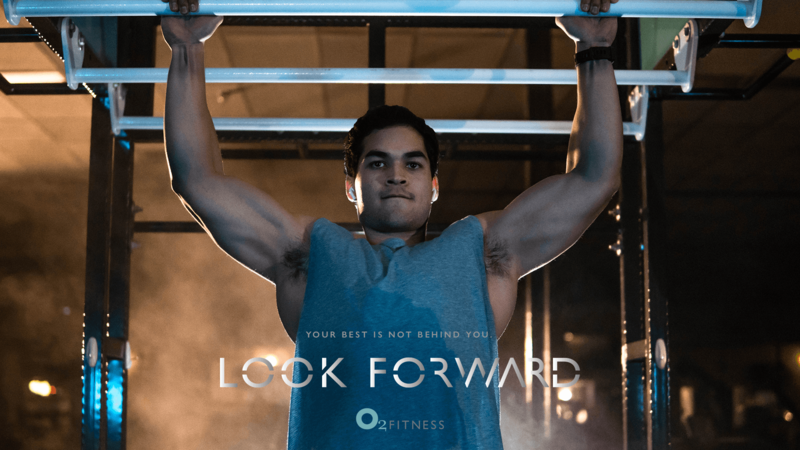 A former high school football and lacrosse player, he has found a passion for fitness inside the walls of O2 Fitness Seaboard Station that he hopes to turn into a career. 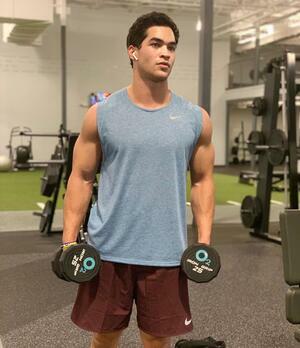 Through his social media channels Kellen hopes to inspire and encourage his followers to set goals and get to work on achieving them every day. I started working out about two years ago when I left high school. My whole life I had been doing sports but I stopped when I got to college. Since I wasn’t doing sports anymore, it felt weird to not do anything, so I started going to the gym. At first I worked out at my school's gym but it got to be really crowded. I wanted more of a community feel so I joined O2 in August at Seaboard Station. Staying active has been like second nature to me and was always something I did with my dad. I've always had a strong relationship with him. Once we started working out together it took off for me and I fell in love with it. We work out together still all the time. Now I want to make something out of myself in the fitness industry. I want to make fitness my profession. Last year I became so passionate about it that I decided I want to do it for a living. I'd love to be an influencer on Youtube. A lot of my friends were complimenting my physique and saying I have a special work ethic. I started to inspire my roommates and my girlfriend to be more fit in their own lives. It made me feel good that they were doing things because of me. If I could do that on a larger scale, I’d love to help people. I believe 100% that fitness changes lives. If I can help people with that I’ll be happy. Every day that I stay in bed or decide not to go to the gym or eat something unhealthy, I keep pushing back my goals further away from me. I make it harder on myself to do what I want to do in life. Right now a goal of mine is to get lean so I'm trying to cut down. Fasted cardio is my least favorite thing to do, but it’s necessary so I’m willing to do it. To be as lean as I want to be, I have to do cardio regularly. A lot of people think there’s some kind of secret to being lean, but you have to diet and do cardio. Everyone should totally make goals, short term and long term. It creates a sense of urgency in your mind. It holds you accountable. If you don’t have any goals you’re not making any progress towards them. I believe in goals 100%. Start by creating some goals, both short term and long term. Just do it. The hardest part is starting. As soon as you start, you can do whatever you want to do. If you're looking to get started in the gym or if you’re on your fitness journey already, don’t think about how far you have to go. Think about how far you’ve come. Continue to enjoy every second of it because working out is a privilege. It’s not something that everyone can do. Enjoy it and make the most of it. I have friends with muscular dystrophy and Cerebral palsy and I played sports for them in high school because I knew they couldn’t do it. I owed it to them because I was able to. My close relationship with my father. He worked so hard to bring me up in life. I always told him I was going to make something of myself some day. That inspires me to work as hard as I do in the gym. Everyone gets in those moods where you feel like you're in a rut and doing the same things all the time. When that happens to me I typically do something I wouldn’t normally do and switch it up. I give my body a fresh take on fitness. I'm always trying something new. When you're doing something really rough, what do you tell yourself to get through it? How do you finish? Everyone has hard points in their life where they went through some type of hardship. When I get into the gym, I think about those hard times and I use it as fuel to get through my workout. I use that energy kind of positively instead of negatively. What's does Look Forward mean to you? When I think of 'Look Forward,' that comes off to me as 'We’re not done yet.' On my fitness journey, I'm always looking forward because theres so much more room for improvement. I need to stay hungry and continue to enjoy it. It kind of means that there’s more to do. In a good way. Something I say to myself and keep in mind is 'Let's work.' It's motivating to me and my way of commencing a workout. I’m really looking forward to building my Youtube channel to inspire other people. I want to make sure everyone has the inspiration they need to get their goals done. Feeling my best is the most important thing to me and feeling as healthy and active as I can be. Looking forward to keeping my mind sharp in the gym.